Thousands of students are going to have a wonderful new experience at school this year – they’ll get their hands on an instrument in music class, and they’ll be surprised at how much fun it is learning to read music, play with both hands, improvise and compose. These students will have a new favorite class. MusIQ Lab is a new way to go with your music class that is uniquely engaging, affordable, very easy to start up, and provides a dramatic boost to the number of instructional objectives that are successfully achieved over the course of a year. With MusIQ Lab, it’s not unusual to have kids looking forward to music class when they get up in the morning, nor is it unlikely that they’ll run to the classroom when they know it’s time to use the interactive software. MusIQ Lab is a complete multi-level syllabus, with detailed weekly plans, recommended floor work, student worksheets, assessments every 10 weeks. A music specialist can get up to speed and begin delivering MusIQ Lab within a few hours! Students’ attraction to interactive software is near universal. MusIQ Lab combines the best elements of technology with inspired pedagogy, and a very comprehensive body of content at each grade level. One result is very reliable progress in learning the language of music for your class, all year, K-12. Imagine a band program in which every student can read music fluently on arrival. So many students will develop a lifelong interest in performing and composing music as a result of this program, it’s worth preparing to get this MusIQ Lab in your school. Want to try what you’ve missing? Order our starter bundle or request a lab quote for your school. Call 1-888-999-6434 and ask for sales. Please send materials. 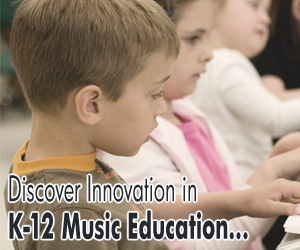 looking for information of the music classroom of the 21rst century.